Bulgarian officials said six people were killed when the bomb went off outside Bulgaria's Burgas airport. Israeli media reported that eight people had been killed and that six of them were Israelis. "The immediate executors are Hezbollah people, who of course have constant Iranian sponsorship," Barak told Israel Radio. The tourists had arrived on a charter flight from Israel and were on the bus in the airport car park when the blast tore through the double-Decker. Body parts were strewn across the ground and mangled metal hung from the bus's ripped roof. "We have established a person who was a suicide bomber in this attack. This person had a fake driving license from the United States," Interior Minister Tsvetanov told reporters at the airport of Burgas, a city on Bulgaria's Black Sea coast. Tsvetanov said special forces had managed to obtain DNA samples from the fingers of the bomber and were now checking databases in an attempt to identify him. He said Bulgarian security services had received no indications of a pending terrorist attack in the Balkan country. Video surveillance in front of the airport and the investigation showed the bomber could not be distinguished among arriving Israeli tourists. "He looked like everybody else - a normal person with Bermuda shorts and a backpack," he said. The interior ministry said the eight dead included the Bulgarian driver of the bus and the bomber. About 30 lightly injured Israeli tourists will be flown back to Israel in the coming hours, Tsvetanov said. Hours after the attack Israeli Prime Minister Benjamin Netanyahu said Teheran was behind the attack and that "Israel will react powerfully against Iranian terror." There was no immediate Iranian reaction to the Israeli accusation. The blast came on the 18th anniversary of a 1994 bomb attack on the headquarters of Argentina's main Jewish organization by a Hezbollah suicide bomber, which killed 85 people. Although Tehran has denied involvement, some analysts believe it is trying to avenge the assassinations of several scientists from its nuclear program, which the Iranians have blamed on Israel and its Western allies. Israel and Western powers fear that Iran is working towards a nuclear bomb, but Tehran says its research is strictly for peaceful ends. Both Israel and the United States have not ruled out military action against Iranian nuclear facilities. Hezbollah is a powerful political party and militant group in Lebanon and fought a war with Israel in 2006. The group claimed victory even though Lebanon suffered high casualties. WASHINGTON (Reuters) -- US President Barack Obama strongly condemned an attack Wednesday that killed at least four Israeli tourists in an explosion on a bus outside a Bulgarian airport. An inside look at Southern Lebanon, the 33 day war and its impact on the lives of the Lebanese people. Exchange is the title of a photo exhibition which narrates the people's aspirations and their anguish in their resistance against Israel's war machine. UN Security Council Resolution 1701 calls on Israel to respect Lebanon's sovereignty and territorial integrity. There has been conflicting reports for the past hours of a UAV that crashes in the Baalbek town in Younin, east of Lebanon on Saturday. The crash site was soon cordoned off by members of the resistance, who prevented access to the area and later transported the drone off site to an unknown location. The object, which was in flames, led to a fire in the area prompting Civil Defense teams and security agencies to the scene. 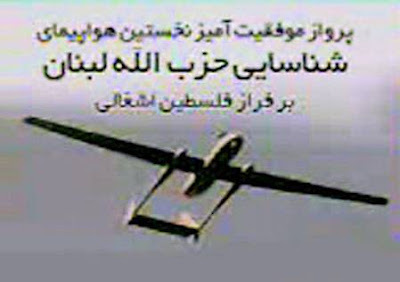 Although the exact identity of the UAV was unknown, some assumed that the UAV belongs to the Hezbollah group which operates several Mohajer 4 (Mersad 1) UAV. Meanwhile, other sources claimed that the spy drone was in fact belonged to Israel. The Israeli reconnaissance planes have usually violated the Lebanese airspace, despite UN Security Council Resolution 1701 which brokered a ceasefire in the war Israel launched against Lebanon in 2006. The resolution calls on Israel to respect Lebanon’s sovereignty and territorial integrity. In 2009, Lebanon filed a complaint with the United Nations, presenting over 7,000 documents pertaining to Israeli violation of the Lebanese territory. IASF was the pioneer of UAV operation having used them against Syrian forces in Bekaa Valley in 1982. The air arm service currently operates several types of UAV namely IAI Eitan, IAI Heron, Elbit Hermes 450 and Bluebird Spylite. An unmanned spy drone, reportedly belonging to Israel, has crashed in eastern Lebanon, according to the country’s official news agency. The drone was downed in the village of Younin in the Baalbek region on Saturday and caused fire in the area, the National News Agency reported. Lebanese security forces surrounded the area and officials are investigating the cause of the incident. Informed sources announced that the spy drone belonged to Israel. Israeli reconnaissance planes have usually violated the Lebanese airspace, despite UN Security Council Resolution 1701 which brokered a ceasefire in the war Israel launched against Lebanon in 2006. The resolution calls on Israel to respect Lebanon's sovereignty and territorial integrity. In 2009, Lebanon filed a complaint with the United Nations, presenting over 7,000 documents pertaining to Israeli violation of the Lebanese territory. An Israeli reconnaissance plane has violated Lebanon's airspace and flown over the country in flagrant violation of United Nations Security Council Resolution 1701, Press TV reports. According to a statement issued by the Lebanese army on July 13, the Israeli warplane violated Lebanese airspace, beginning at 7:25 a.m. local time on Thurdafay , a Press TV correspondent in Beirut reported. The statement said that the Israeli aircraft entered Lebanon above its southern border and flew over several Lebanese territories before leaving the country’s airspace above Rmeish village at 11:25 a.m. local time. 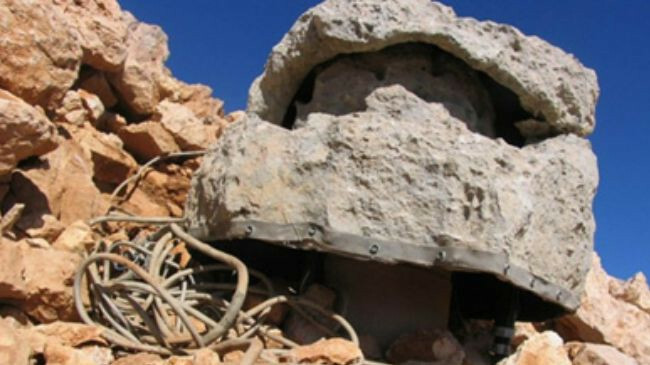 File photo shows Israeli spy devices near Lebanese capital which were concealed in fake rocks.